This was one of the highlights of my more than two decades career. I always wanted to visit Ethiopia and explore first-hand the origin, heritage, and tradition of this wonderful community, but I was waiting for the right opportunity – I want to travel with my Ethiopian Israeli colleagues and friends and see everything through their eyes and I wanted to travel with my friend, neighbor, and Jewish hero, Micha Feldmann (Abba Mika in Amharic), who has been a champion of the Ethiopian Jews for over 30 years. I was thrilled when Stuart Wainberg, a major Federation supporter from Livingston, decided to put together just such a Mission, with a group of Ethiopian Israeli partners, as well as Micha Feldman as our leader. The Mission was organized by Selah, a wonderful organization supporting Olim and one of our Federation beneficiaries. Our Federation has been a national leader in absorbing, supporting, and integrating the Ethiopian Olim. Our project Atzmaut and the various other programs in Ramat Eliyahu have been very impactful. But until one explores and understand where these families came from and what they went through in order to come here, one can’t understand the full story of this Zionist saga. There were 35 of us on the Mission. We traveled from December 31 to January 4, with four days in Ethiopia and one day in Israel. We visited Addis Ababa and Gondar, as well as the villages from which our Ethiopian Israeli friends came. Here are some highlights described by my fellow travelers. The Mission was filled with unforgettable moments. The ancient bonds between Israel and Ethiopia are undeniable. So too are the sacrifices made by Ethiopian Jews to journey to Israel. The descendants of the Queen of Sheba and King Solomon ruled Ethiopia for generations. The lion of Judah is the symbol of the Hebrew tribe of Judah (King Solomon was from Judah), the fourth son of Jacob. The lion of Judah was also one of the titles given to the Ethiopian Emperor Haile Selassie and was depicted on the flag of Ethiopia from 1897-1974. The Lion of Judah is considered by many to be a symbol of truth, survival and hope. With these powerful images in mind, we began our journey to Ethiopia accompanied by Ethiopian Israelis anxious to explore their own Ethiopian roots and share their life stories with our group of Americans. It is hard to imagine how Jews survived for thousands of years in Ethiopia, fighting anti-Semitism, poverty, pressure to convert to Christianity, isolation, and all kinds of brutality. 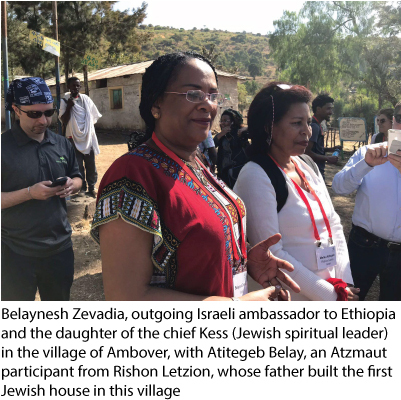 Our fellow travelers Belaynesh Zevadia and Atitegeb Belay grew up in Ambover, an isolated Jewish village in a beautiful mountainous part of Northern Ethiopia. Atitegeb’s father built the first home and Belaynesh’s father was the Kes (rabbi). The community grew to become one of the largest Jewish villages in the region in the 1960s. The synagogue, school buildings, and play fields in the center of the community are all visible today. Children wearing pink shirts crowded into a small classroom, all anxious to learn, well behaved, and with big smiles on their faces. Sadly, there did not appear to be any books, pens, paper, or even a teacher. 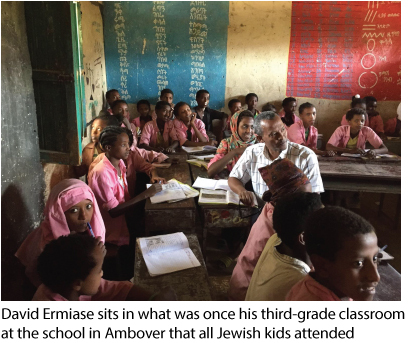 When David Ermiase pointed to HIS former classroom next door, explaining how he walked a distance to the school from his village, my mind short-circuited as I pondered how he managed to grow up where we were standing and then become the person I came to know on the Mission – the person who himself is doing extraordinary work in Israel helping Ethiopian families. The Christians who now live in Ambover exhibited a joy that undoubtedly existed when the Jews flourished there. 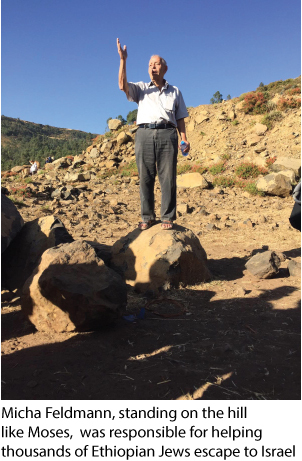 Standing next to the flag pole, in the center of the community, Belaynesh and Atitegeb pointed to where they marched up the mountain to celebrate the Sigd and then danced around the synagogue in joyous solidarity with the entire community. Inside the synagogue, Belaynesh described her father’s devotion to Judaism and dedication to the community. She recalled the time her brother was imprisoned and her father lived in the synagogue for six months sleeping on the floor and praying for his safe return. On top of a nearby mountain Belaynesh showed us her childhood home and explained how a self-described little girl from Ambover lived and ultimately became the Israeli Ambassador to Ethiopia. We looked way down the mountain to the stream below where people bathed, washed clothing and then walked up the rocky slope carrying water. The scene was jaw-dropping and incomprehensible for those of us who struggled just to reach the top of the mountain. The Semien Mountains in Northwest Ethiopia on the border of Sudan are breathtakingly beautiful. With water bottles in hand and security guards to our rear, we hiked on a pleasant day to a plateau overlooking the rugged, expansive terrain. 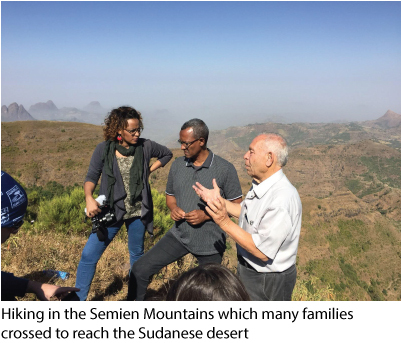 The picture-perfect scene was suddenly shattered when David Ermiase told us how he left his family in the late 1970s at age 18, joining a small group of friends determined to reach Sudan and then find a way to Israel. They traveled at night, walking and even running when necessary through the Semien Mountains. Criminals flourished in the mountains shortly after word spread that desperate Jews were paying high “tolls” to continue on their journey. Nevertheless, David and his friends were young, strong, and aware of how to negotiate successive bribes demanded by criminals along the path to Sudan. After days of walking without water, David described how his mouth became so dry that he could not move his lips or even speak. His voice simply gave out on him before he finally made it to Sudan. Orly Malessa was only 2 years old when her family joined the exodus to Sudan. Despite her tender age at the time, Orly recounted the emotional suffering of her parents. Her father later told her that he was eternally grateful to her for never complaining that she was thirsty or hungry when all seemed lost. After several years in a refugee camp in Sudan, Orly recalled her family’s arrival in Israel. Her memories are so painfully deep that sharing them was a challenge. Beneath all of the pain, I sensed the proud strength that carried her family all the way to Israel. 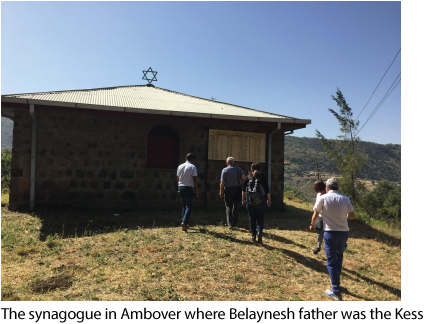 In the city of Gondar, in a crowded neighborhood corner near the Jewish Community Center, Demas Fekadeh pointed to a small plot of land where his family’s house once stood. By this time, everyone on the Mission had come to know Demas as the ebullient, confident, and engaging 23-year-old IDF soldier that he has become. Demas recounted that after his father died, his siblings and mother moved to Gondar hoping to continue to Israel. As proud and as strong as he is, Demas struggled to describe his family life in Gondar while standing on a pile of rubble strewn with animal bones and manure where he once lived. Like the other Ethiopian Israelis on our Mission, Demas’s life story is filled with much pain and suffering. In his case, the emotional rollercoaster continued in Israel after his mother died and he famously confronted racist policemen who beat him up sparking national Ethiopian protests. Like the others, Demas seems to have risen above the emotional toll the journey took on his family to now find a happier place in Israel. It was impossible to spend a few days with Atitegeb, Belaynesh, David, Orly, and Demas and not come away seeing the pureness of their Jewish hearts, the strength of their determination to lead productive lives in Israel, and their selfless, infectious spirit. Israel is a stronger country with them and the Jewish world is forever enriched by them — LIONS: TRUTH, SURVIVAL AND HOPE!!! My journey to Ethiopia was inspired by an amazing young woman, Yardena Fanta, who I met over 20 years ago. She and her family crossed the Sudan and encountered many challenges and tragedies along the way... until they were rescued by the Israeli government and the Jewish Agency. She arrived in Israel at age 13, illiterate. To make a long story short, she got her PhD in Israel, married an Israeli, and has two children. They moved to Boston, where she received her post-doc at Harvard. 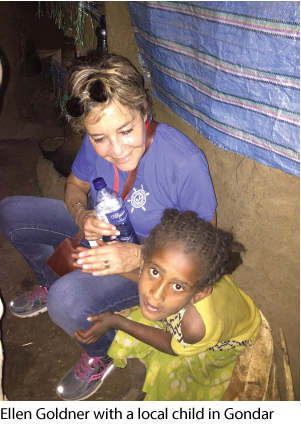 I was eager to see from where she came... to touch, feel, see, and taste her circumstances in a small village in Ethiopia. Going there made her accomplishments even more remarkable to me. The most tragic part of the trip was meeting the Falashmoras who are living in limbo in Gondar and other cities. Their ancestors converted to Christianity, and they cannot prove that they are Jewish under the law of return.... even though they are practicing Jewish. They live in abject poverty, waiting to go to Israel, which is not guaranteed. I understand that this is a complicated situation, but the government needs to make a decision to either bring them to Israel or help them re-settle in Ethiopia. I spoke to one young boy in Gondar who was studying Hebrew. We were able to communicate in his broken English and my terrible Hebrew. 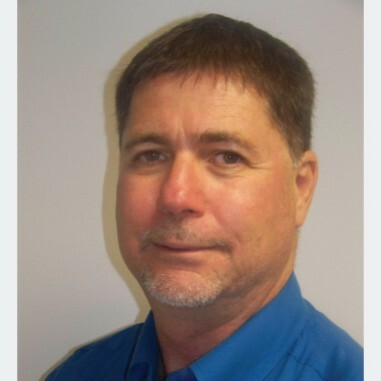 He told me that they all feel totally hopeless. Heartbreaking. Sharing the experience with Ethiopian Israelis retracing their journey from their birthplace was so heart-warming. Seeing the conditions of the Ethiopians left behind was heart-wrenching. We not only heard Micha Feldmann retell the story of Operation Moses, but we actually followed in the footsteps of Jews who risked their lives walking to Sudan through the treacherous Semien Mountain range in the dark of the night. It was a privilege to hear Micha explain how he negotiated with the communist Durge to allow 14,000 Jews to leave during Operation Solomon as we stood in the Israeli Embassy courtyard in Addis Ababa where the actual events occurred. 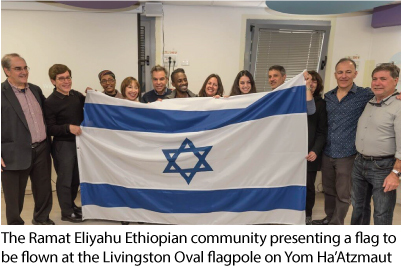 Receiving an Israeli Flag as a gift from the Ramat Eliyahu Ethiopian community to be flown at the Livingston Oval flagpole on Yom Ha’Atzmaut was a thrilling honor and a symbol of our unbreakable bond. We are all Jews sharing many different stories, but one Peoplehood. Being greeted by the mayor of Gondar as we disembarked on the runway was the first warm greeting we received. We thought we could not have received a better welcome, but we were wrong. As we exited the airport, we were treated to a native band and dance troupe who showered us with attention, complete with Israeli and Ethiopian flags. The Prime Minister of Israel could not have received a more heart-warming welcome! On our final night there, the mayor of Gondar invited us to a gala dinner and dance show and made us feel like important dignitaries and partners with the Ethiopian community. The Ethiopia Mission challenged everything I thought I knew, teaching me that truth resists simplicity and that there is always a counter-narrative to every story. We were afforded the opportunity to interact with the current Israeli Ambassador to Ethiopia, Raphael Morav; the former Israeli Ambassador to Ethiopia, Belaynesh Zevadia; the mayor of Gondar; and the head of the Jewish Agency. We questioned policies and our own beliefs to better understand the complexity of the plight of the Falash Murah. 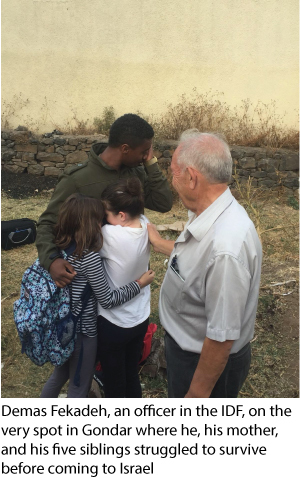 Witnessing desperate Ethiopians praying three times a day in the synagogue at the Jewish Community Center in Gondar, not knowing what their chances of making Aliyah were, was emotionally overwhelming. Observing the difficult lives of the Olim in the Kiryat Gat Absorption Center and the amazing work of the Atzmaut program in Ramat Eliyahu gave us hope for a bright future for the next generation.